Simon & the team at TC Motors pride themselves on their commitment to quality and service, happily serving Bracebridge customers. TC Motors has achieved UniPart Car Care Centre status along with the quality mark that comes with being part of Motor Codes. This means that you will receive reliable, honest car servicing from reputable, accredited mechanics. If your tyres are becoming worn or damaged, we begin by advising you on the best course of action. We are fortunate to have a brilliant range of brand-name tyres and cheap tyres for set budgets to choice from. Our tyre fitters are backed by a wealth of experience gained over the years in tyre fitting. We provide and fit quality names such as Michelin tyres, as well as reliable cheap tyres - all for competitive prices and with reliable workmanship assured. A standardised list of checks are performed during MOT testing in order to establish the condition of the vehicle. 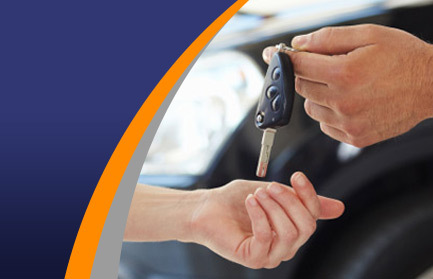 Upon completion, all MOT test results are entered on to a secure central database. You will be given an MOT pass certificate or notification of failure. Should your vehicle fail its MOT test and require further work, we will be able to talk you through your options. You are then free to make a decision regarding the right course of action for you and your car. Having a properly fitted and functioning exhaust system is essential to your car's operation. It is thanks to years of experience in the car industry that our skilled mechanics are able to quickly identify problems, suggest solutions and perform repairs or apply new exhausts. Our customers in Bracebridge are always pleased with our high level of work, whether it be an inspection of an existing exhaust system or replacing your exhaust with a new one. Designed to check and test your vehicle's components for general operation, function and wear & tear, a car service from TC Motors can help avoid expensive emergency repairs further down the road. We are equipped to provide the best in car servicing, using the latest equipment and industry training with all of our service mechanics. The friendly team welcome all customers, and work thoroughly, ensuring you a good job. For reliable garage services, customers in Bracebridge can contact us on 01522 899 943. A member of our team will be pleased to assist you in any queries regarding prices, availability, or to book in for repairs / fittings.